The “Blog” of “Unnecessary” Quotation Marks: When lot is "Full"
I wonder what the difference is between a lot that is actually full and one that is "full." Submitter Dan suggests the parking lot just ate. strikes me this whole sign is "unnecessary". 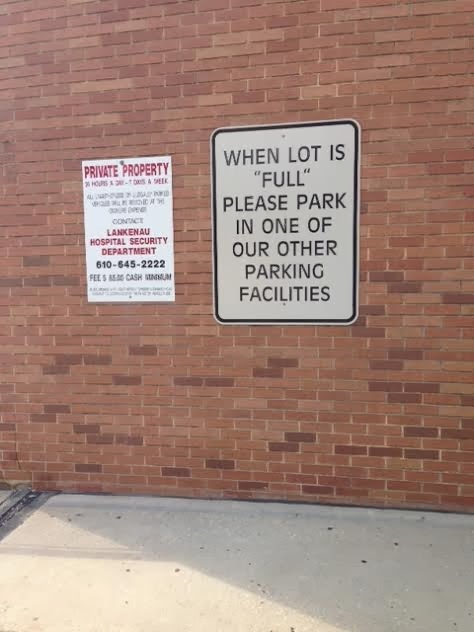 do they think someone is going to park here when it is full or "full"?